Victim of white supremacists rally identified as Trump condemns the KKK. Woman killed at white supremacist rally identified as 32-year-old paralegal. 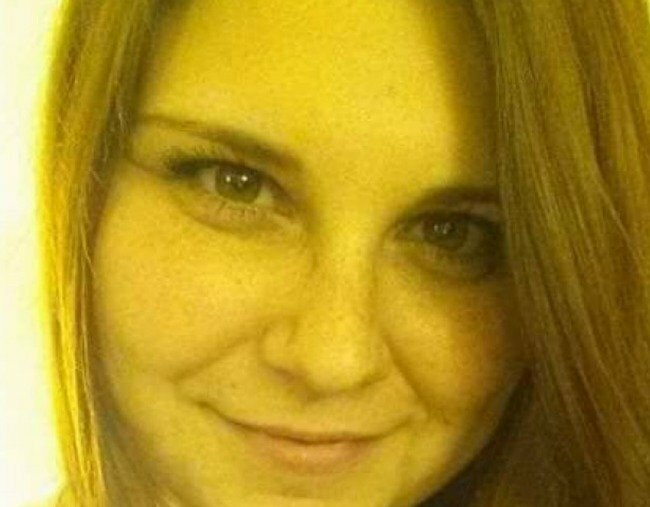 The woman who was killed when a man ploughed his car into a group of counter-protesters in the US on Saturday has been identified as 32-year-old paralegal Heather Heyer. Heyer was protesting the white supremacist rally, which was being held in Charlottesville, Virginia on Saturday afternoon. She was the only person killed, 19 others were injured (five critically), when 20-year-old James Alex Fields, Jr. allegedly rammed his silver Dodge Challenger through the masses gathered at Emancipation Park in opposition to the rally. A GoFundMe page set up for Heyer’s family says she “was murdered while protesting against hate” and that she was originally from Greene County in New York. The identification comes after President Donald Trump included the Ku Klux Klan and neo-Nazi groups in condemning violence, the White House says. He was initially criticised for not explicitly condemning white supremacists in the tragedy. US authorities are investigating the outbreak of violence, which puts new pressure on the Trump administration to take an unequivocal stand against that segment of his political base. Trump, from at his golf resort in New Jersey on Saturday, said “many sides” were involved in Charlottesville. He ignored a reporter’s shouted question whether he had spoken out strongly enough against white nationalists. On Sunday, however, the White House said in a statement Trump’s earlier message on Saturday “condemns all forms of violence, bigotry, and hatred, and of course that includes white supremacists, KKK, neo-Nazi, and all extremist groups. He called for national unity and bringing all Americans together”. Trump’s national security adviser HR McMaster told ABC’s This Week that “anytime that you commit an attack against people to incite fear, it is terrorism” and said Saturday’s car attack “meets the definition of terrorism”. Charlottesville Mayor Mike Signer also said it was a “terrorist attack”. Virginia police have not yet provided a motive for a man who rammed a car into the crowd, but US prosecutors and the Federal Bureau of Investigation have opened a civil rights investigation. Four people have been arrested, including Ohio man James Fields who is being held in jail on suspicion of crashing the car. Meanwhile tributes are flowing in for Heyer on social media. Our condolences go out to the family of Heather Heyer who was killed by a terrorist as she protested Neo-Nazism and white supremacy.